Here is the trailer from the upcoming film “ATOMIC BLONDE.” The film is directed by David Leitch, starring Charlize Theron, James McAvoy, John Goodman, Til Schweiger, Eddie Marsan, Sofia Boutella and Toby Jones. 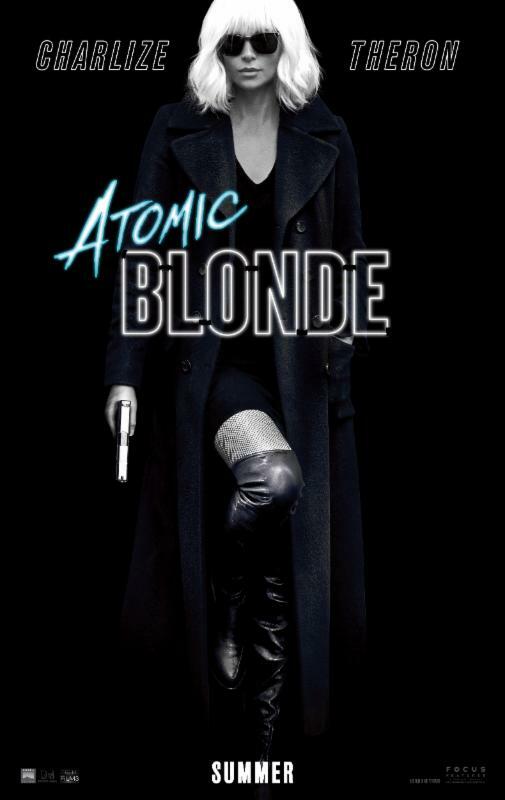 Oscar® winner Charlize Theron explodes into summer in Atomic Blonde, a breakneck action-thriller that follows MI6’s most lethal assassin through a ticking time bomb of a city simmering with revolution and double-crossing hives of traitors. The crown jewel of Her Majesty’s Secret Intelligence Service, Agent Lorraine Broughton (Theron) is equal parts spycraft, sensuality and savagery, willing to deploy any of her skills to stay alive on her impossible mission. Sent alone into Berlin to deliver a priceless dossier out of the destabilized city, she partners with embedded station chief David Percival (James McAvoy) to navigate her way through the deadliest game of spies. A blistering blend of sleek action, gritty sexuality and dazzling style, Atomic Blonde is directed by David Leitch (John Wick, upcoming Deadpool 2). Also starring John Goodman, Til Schweiger, Eddie Marsan, Sofia Boutella and Toby Jones, the film is based on the Oni Press graphic novel series “The Coldest City,” by Antony Johnston & illustrator Sam Hart. Kurt Johnstad (300) wrote the screenplay. Warner Bros Home Entertainmnet to release of NEW YEAR’S EVE on DVD and Blu-ray May 1, 2012. The film was directed by Garry Marshall starring Halle Berry, Jessica Biel, Jon Bon Jovi, Abigail Breslin, Chris “Ludacris” Bridges, Robert De Niro, Josh Duhamel, Zac Efron, Hector Elizondo, Katherine Heigl, Ashton Kutcher, Seth Meyers, Lea Michele, Sarah Jessica Parker, Michelle Pfeiffer, Til Schweiger, Hilary Swank, Sofia Vergara. “Contagion” follows the rapid progress of a lethal airborne virus that kills within days. As the fast-moving epidemic grows, the worldwide medical community races to find a cure and control the panic that spreads faster than the virus itself. At the same time, ordinary people struggle to survive in a society coming apart. “Dolphin Tale” is inspired by the amazing true story of a brave dolphin and the compassionate strangers who banded together to save her life. Swimming free, a young dolphin is caught in a crab trap, severely damaging her tail. She is rescued and transported to the Clearwater Marine Hospital, where she is named Winter. But her fight for survival has just begun. Without a tail, Winter’s prognosis is dire. It will take the expertise of a dedicated marine biologist, the ingenuity of a brilliant prosthetics doctor, and the unwavering devotion of a young boy to bring about a groundbreaking miracle—a miracle that might not only save Winter but could also help scores of people around the world. The real Winter, who plays herself in “Dolphin Tale,” today serves as a symbol of courage, perseverance and hope to millions of people—both able and disabled—who have been touched by her remarkable story of recovery and rehabilitation. The new “Harold & Kumar” comedy picks up six years after the duo’s last adventure. After years of growing apart, Harold Lee (John Cho) and Kumar Patel (Kal Penn) have replaced each other with new friends and are preparing for their respective Yuletide celebrations. But when a mysterious package mistakenly arrives at Kumar’s door on Christmas Eve, his attempt to redirect it to Harold’s house ends with the “high grade” contents—and Harold’s father-in-law’s prize Christmas tree—going up in smoke. With his in-laws out of the house for the day, Harold decides to cover his tracks, rather than come clean. Reluctantly embarking on another ill-advised journey with Kumar through New York City, their search for the perfect replacement tree almost blows Christmas Eve sky high. Drama. “J. Edgar” explores the public and private life of one of the most powerful, controversial and enigmatic figures of the 20th century. As the face of law enforcement in America for almost fifty years, J. Edgar Hoover (DiCaprio) was feared and admired, reviled and revered. But behind closed doors, he held secrets that would have destroyed his image, his career and his life. Cast: Elijah Wood, Robin Williams, Hank Azaria, Alecia Moore (P!nk), Brad Pitt, Matt Damon, Sofia Vergara, Common, Hugo Weaving, Magda Szubanski, Anthony LaPaglia, Richard Carter, Benjamin “Lil P-Nut” Flores, Jr. The sequel to “Happy Feet,” the Academy Award®-winning animated smash hit, “Happy Feet Two” returns audiences to the magnificent landscape of Antarctica in superb 3D. Mumble, The Master of Tap, has a problem because his tiny son, Erik, is choreo-phobic. Reluctant to dance, Erik runs away and encounters The Mighty Sven—a penguin who can fly! Mumble has no hope of competing with this charismatic new role model. But things get worse when the world is shaken by powerful forces. Erik learns of his father’s “guts and grit” as Mumble brings together the penguin nations and all manner of fabulous creatures—from tiny Krill to giant Elephant Seals—to put things right. “New Year’s Eve” celebrates love, hope, forgiveness, second chances and fresh starts, in the intertwining stories told amidst the pulse and promise of New York City on the most dazzling night of the year. Sherlock Holmes (Robert Downey Jr.) has always been the smartest man in the room…until now. There is a new criminal mastermind at large—Professor Moriarty (Jared Harris)—and not only is he Holmes’ intellectual equal, but his capacity for evil, coupled with a complete lack of conscience, may actually give him an advantage over the renowned detective. When the Crown Prince of Austria is found dead, the evidence, as construed by Inspector Lestrade (Eddie Marsan), points to suicide. But Sherlock Holmes deduces that the prince has been the victim of murder—a murder that is only one piece of a larger and much more portentous puzzle, designed by Professor Moriarty. The cunning Moriarty is always one step ahead of Holmes as he spins a web of death and destruction—all part of a greater plan that, if he succeeds, will change the course of history. 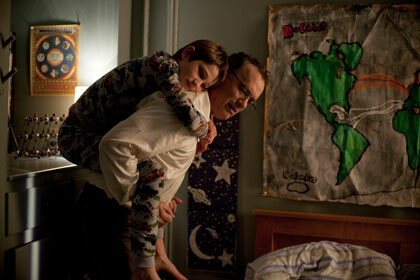 Oskar (Thomas Horn) is convinced that his father (Tom Hanks), who died in the 9/11 attacks on the World Trade Center, has left a final message for him hidden somewhere in the city. Feeling disconnected from his grieving mother (Sandra Bullock) and driven by a relentlessly active mind that refuses to believe in things that can’t be observed, Oskar begins searching New York City for the lock that fits a mysterious key he found in his father’s closet. His journey through the five boroughs takes him beyond his own loss to a greater understanding of the observable world around him. Here is the teaser trailer from Warner Bros anticipated film “New Year’s Eve”. The romantic/comedy is directed by Garry Marshall, starring Robert De Niro, Ashton Kutcher, Michelle Pfeiffer, Hilary Swank, Lea Michele, Abigail Breslin, Sofia Vergara, Jessica Biel, Sarah Jessica Parker, Katherine Heigl, Zac Efron, Sienna Miller, Josh Duhamel, Ice Cube, Jon Bon Jovi, Seth Meyes, Til Schweiger, Halle Berry, Carla Gugino. New Year’s Eve hits theaters December 9, 2011.